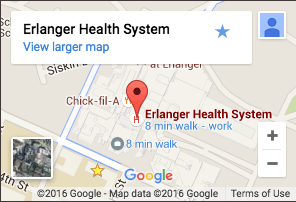 Erlanger offers highly specialized expertise in treating both adult and pediatric spinal problems. Our adult spine services focus on the latest surgical and non-surgical techniques to relieve pain and restore function. Our pediatric care includes spine-growth friendly approaches to address deformity and other back issues.